Technology is taking over the toys — at least judging by the new playthings on display last week at the annual New York Toy Fair of the Toy Industry Association. The trade association represents roughly 85% of the toy-sellers in America, according to figures from 2010, representing $21.87 billion in sales. 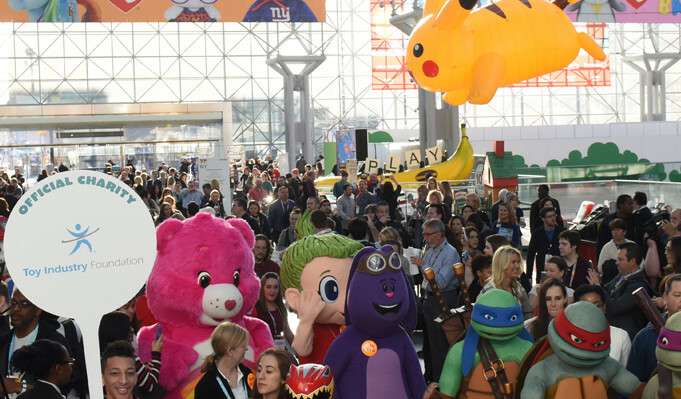 And since 1903 it’s been hosting a toy fair in New York City, giving the media its first look at this year’s hottest upcoming products. 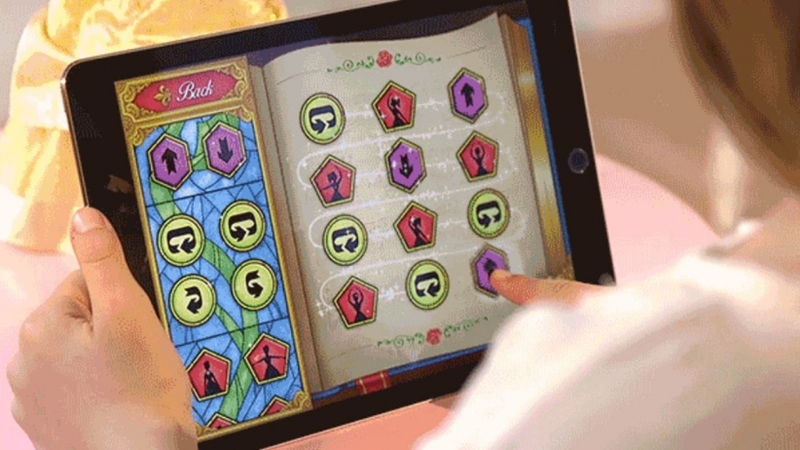 But the toy’s of today take full advantage of some 21st-century tech, combining the new and the old into modern hybrids designed to delight, entertain — and maybe even inspire kids to pursue their own careers in technology. 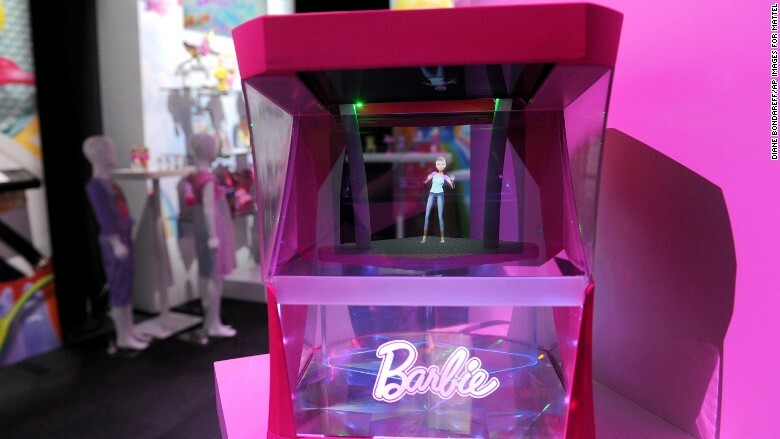 “This new Barbie will be able to change her own clothes,” joked CNN — since they’re added virtually by a hidden projector that shines Barbie’s image onto a mirror. And though children won’t be able to touch the eerily translucent “Hologram Barbie,” she’ll still be “interactive,” thanks to voice commands. Saying the right words will magically change Barbie’s clothes, ethnicity, or body type. More interesting, from an engineering point of view anyway, is a Tenka Labs product called Circuit Cubes, snap-on modules for Lego blocks that let kids build their own electrified gizmos. There’s a snap-on motor cube that spins a gear shaft, as well as a module for LED lights and even a kit that lets kids build robots that draw. But the real aim is to inspire kids to invent their own designs. The inventors of Circuit Cubes are now putting together a classroom curriculum using its product, according to Digital Trends, and the company also hopes to host hundreds of projects for the cubes in an online community. Batman always had the coolest toys, and in honor of his appearance in the upcoming “Justice League” movie, Mattel has unveiled this two-foot marvel, with a tiny six-inch Batman tucked into the cockpit. Mashable called it “the most tricked out remote-control car we’ve ever seen” It’s even accessorized with cannons — and Gatling guns — to mow down the bad guys. There’s lights, engine sounds, and an exhaust pipe that spews real smoke. But best of all, it’s controlled by an app, which steers the wheel — and Batman’s arms! Feature image: Toy Image Association.